I was very bored as I sat once again on a telephone wire. Even though those nara clan peoples told me not to I just decide to keep there for now. Besides I had the best view from up here. I sigh and stare ahead, my thoughts dwindling. I wonder if I should steal a sub from subway sometime soon and split it with Matt and Near again. Nah. I just settle besides some crows on the wires and watch ahead. I was in the leaf village, hood covering my eyes. I was here to meet a friend nothing more nothing less. On the telephone wires I was getting a little bored so I decided to start doing some acrobatic things. I started flipping around and doing tricks on the telephone wire. Since the telephone wire wasn't too big nobody really noticed. I went to the Uchiha compound. 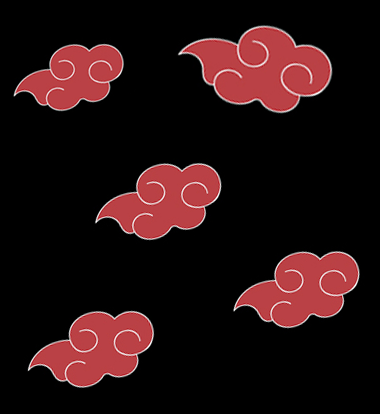 My telephone wire was right across from the uchiha compound, so uchihas and everyone near there could see. But since only Haichu was there no crowds were gathering. I did a 720 flip and did some handstands on the wire, also breakdancing on the wire in between. The stuntrs would make somebody faint. I went into old house and looked for something. I purposely fly off and land on the roof of the house, interested why somebody would go in there. I put an ear to the roof and listen. I look through a drawer and found a vile which I put into my pocket sighing. I hear something open and recognize it as a drawer opening. I find a small hole and look into the room, seeing the vile before it was hidden. ''Wonder what that is for....'' I whisper to myself. My boot thunks against the roof, causing dust to fall inside. I look at the dust then to him, "What do you want?" I ask before hiding a book inside my cloak before going to my bed taking another book. I didn't think she would see me so easilly. I decide to come in. I backflip through the window with expert accuracy. ''You're Haichu right? You come from that village that I found a few days ago....'' I say, tipping my hat. I remained quiet, "Why do you intrude my village..." i say off topic. ''I'm not trying to intrude. I like to play it cool, get friends, run errands for people and find missions. I heard a lot goes on in your village so....'' I shuffled a bit. ''Well then, I was wondering...Next time will I be allowed to enter? With your permission?'' I give a small bow as I say this to show my respect. kyroru hyuuga was walking by the house trying to find someting interesting to do for the rest of the day. he thought aloud "man today is so dull i want somthing exiting to hapen"
I looked around irritated, "God...these great grandkids look like there freaking people I knew..." I strained. I sighed then slipping out my window to my roof thinking. "God...its like I'm the only one who knew all of em...and now its almost like redoing everything..." I groaned irritated. kyroru then looked at the laydy on the roof of the building nex to him. "umm why r u on the roof there"
"Because I want to be...and its my house" I say simply looking at the sun. "stupid person who looks like neji-san..." I mutter activating my byakugan looking around before sighing deactivating it. "well you dont have to be rued about it"
"I wasn't I was just stating the facts..." I say simply and think to myself now realizing how lonely I am because everyone else is dead.